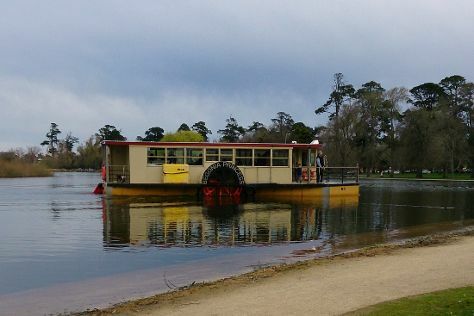 Visiting Lake Wendouree and Castlemaine Diggings National Heritage Park will get you outdoors. Deepen your sense of the past at sights like St. Patrick's Cathedral and St Paul's Cathedral. You'll find plenty of places to visit near Melbourne: Manyung Gallery Mount Eliza (in Mt Eliza), Ballarat (St Patrick's Cathedral, Art Gallery of Ballarat, & more) and Bittern Reservoir (in Tuerong). Spend the 7th (Fri) exploring nature at Point Nepean National Park. Spend the 30th (Sun) exploring nature at Churchill Island Marine National Park. And it doesn't end there: kick back and relax at Eastern Beach Reserve, view the masterpieces at Bruno's Art and Sculpture Garden, identify plant and animal life at Phillip Island Wildlife Park, and contemplate the long history of Redesdale Bridge. If you are flying in from Canada, the closest major airport is Melbourne International Airport. In May, daytime highs in Melbourne are 20°C, while nighttime lows are 9°C. Wrap up your sightseeing on the 28th (Sun) early enough to travel back home.